Omega’s SRLP Program (Sound Reinforcement for Live Performance, informally known as ‘Live Sound’) pulled off another great recording session on Saturday, March 22nd, 2014, this time with blues guitarist Gina DeLuca. Gina graced us with some outstanding original tunes, and participated in a couple of interviews as well. The session produced a multitrack recording and video footage. If you want to see more of Gina’s work, you can find her on Facebook. The Omega audio engineering students who ran the session are all currently enrolled in the SRLP program at Omega, and included Amy, José, Donzell, Marcus, Keina, John, Preston, Roderick, and Stephen. Things didn’t run very smoothly, so congratulations are in order for improvisation and their music production chops! For the uninitiated, the SRLP Broadcast Lab is an interactive instructional session that immerses students of the Omega Studios’ School in a simulated broadcast environment. For this particular exercise, we tape a TV show in Omega’s Studio A, not unlike an episode of Wayne’s World. It’s part of the Live Sound program because the kind of ‘on your toes’ mentality of the live sound engineer is just the kind of mindset that students need to develop if they want to get into the world of broadcasting. As a result, Studio A is set up from scratch over a four hour period. The room is divided into two parts: 1. a performance stage and 2. an interview area. All the gear used in the procedure is live oriented mobile gear. We set up an in-room PA system for the studio audience, plus a broadcast feed to our transmitter (in house closed circuit TV). We use a lot of equipment: wireless Lavalier mics, a shotgun mic, monitoring systems for the stage and interview, a backdrop, sound effects, canned applause, the whole gamut. We also include uplighting, backlighting, and key lights, plus a lighting controller system. The format is very much modeled after shows like Late Night with David Letterman, Night Music with David Sanborn, Don Kirshner’s Rock Concert, etc. The music production school students get practice in setting up audio and video, hitting cues, and flipping sets. 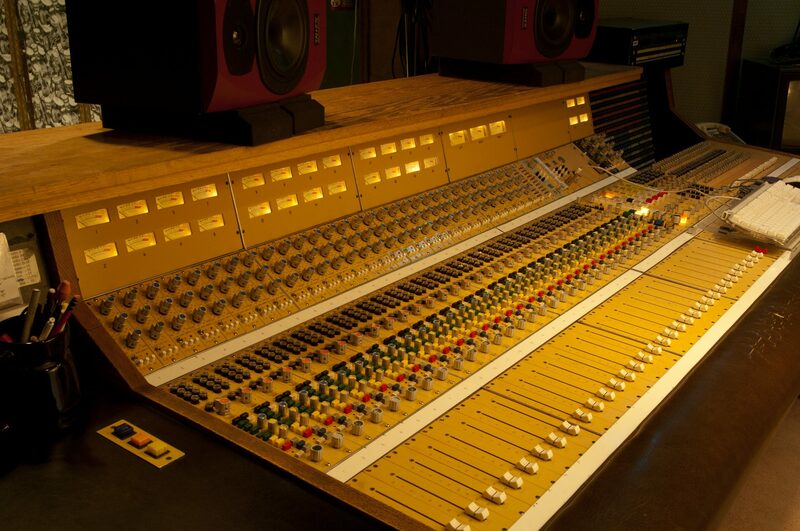 They also get experience in using a modern digital mix board, as the lab is geared around the PreSonus StudioLive 24 console. The PreSonus lends itself nicely to this application, with features like scene recall, numerous auxiliary mixes, built in graphic EQ’s and effects, and a multitrack digital recording bus.